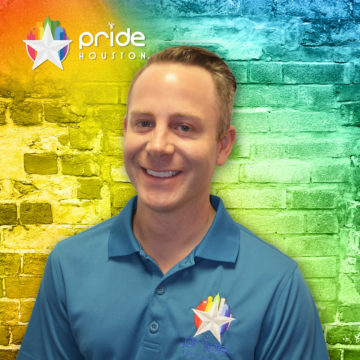 Jeremy Fain – Pride Houston, Inc.
Like many successful brokers, Jeremy came into the world of real estate from the field of academia where he served as Professor of Music at Stephen F. Austin State University, The University of Texas at Tyler, and Lone Star College – Montgomery. An obvious advocate of education and higher learning, Jeremy pursued his undergraduate studies at Texas Tech University, graduate studies and The Eastman School of Music, and post-graduate studies at The University of Southern California all in Music Performance and Literature. Due to his academic excellence, he was inducted into Phi Sigma Theta, a national honors society. Jeremy specializes in the finer neighborhoods of Houston particularly the Memorial Villages, Tanglewood. River Oaks, and West University. His willingness to endlessly help and his infinite availability to his clients is the reason he is sought after as one of Houston’s most ambitious Realtors®. He has also been awarded the ‘Top 20 Under 40 Rising Star in Real Estate’ award by the Houston Association of Realtors®. Jeremy’s eye for detail along with his ability to listen and understand the needs of his clients creates an experience that is both productive and enjoyable. He makes communicating with his clients a priority and keeps them informed throughout the entire buying and selling process. When Jeremy isn’t showing properties or writing contracts, he can be found volunteering with many of the great non-profits and charities of Houston. He serves on the boards of Houston Area Community Services / Bering Omega Community Services, Houston Tennis Club, and PRIDE Houston as well as being an active member of the Human Rights Campaign and the Executive Professional Association of Houston. Aside from volunteerism, Jeremy has a deep passion for the culinary arts. You can find him at openings of new restaurants and markets as well as in his kitchen crafting a gastronomic journey for his loved ones. Jeremy takes great pride in sharing his love for Houston and all it has to offer with everyone around him.